There are some ‘leaders’ in the real estate business that consistently rise to the top of the rankings with transactions in a location, property type, and city. How do they do that? In a few words, you could say that they plan their processes, and then they act. There is a ‘formula’ to the process. There are some things that you can do here for yourself so you can become a ‘leader’ in your market. When you think about your brokerage business at a personal level, where would you want the results to be happening on a regular basis? 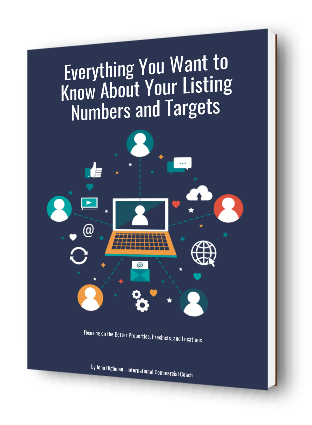 Exclusive listing numbers per salesperson – the only thing that really matters from a business perspective with listing stock is ‘exclusivity’. Controlling the listing stock is part of growing market share, client engagement, and transaction or inspection activity. Commissions per transaction and per person – you can create and have lots of small deals that take a lot of your time to transact; or you can do less but more substantial deals in both sales and leasing. Size matters when you are looking to improve listings and commissions over time. Vendor paid marketing monies paid by listing and salesperson – in most towns and cities, VPA will help you attract more enquiry to your listings and thereby create inspections. You need people to get results in commercial real estate. Enquiries are necessary to move a listing and or transaction forward. Shorter time on the market per listing – understand the ways to attract enquiry faster with your listing stock. Your marketing processes will have something to do with attracting enquiry. Numbers of transactions in sales and or leasing – look at your ratios and look at the size of the transactions that you are closing. Delve into the quality of the property listings and the attractiveness of the listings to the market. The numbers of new property managements introduced to the business – whilst it is nice to have plenty of sales and leasing activity going at any point in time, the property managements that you convert from that ‘churn’ will help you with brokerage stability over time and help you retain clients. A growth of database with qualified clients – from the very start of your career, grow your database comprehensively and keep it up to date with local people and those that you know are important ‘property players’ in a location. Connect with the people in your list regularly in relevant ways. Signboards placed in a location or precinct on listings – do a signboard count weekly so you know what is coming into the market and when. The best time to do a signboard count is on the weekends when things are quiet. Map out the signs that all your competitors have on local listings. Know what ‘visual’ sign dominance your competitors have on local listings. Advertisements placed online and in the portals for a precinct or property type – measure how you are tracking with local advertisements. 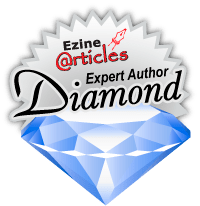 Advertisements can be different in size and type, so get to understand the advertisement layouts and media types that seem to be producing more of the enquiry. Referral business from existing contacts and prospects – there will be plenty of leads to seek out in referral activity. Ask the right questions at the right time in all of your connections. Use your positive relationships, meetings, conversations, and connections to find referrals to work on. Repeat business from existing clients – connect with all your client’s monthly so you can talk about local property and regional changes. Soon you will identify those clients that are looking to take the next step in another transaction. Numbers of inspections per listing and per person are always important – inspections will occur through proactive marketing and database connections. The sales person that works their database every day will usually create more inspections when others in the same brokerage are struggling. These ratios and numbers are so important in commercial real estate brokerage. A ‘leader’ of the business will have these ratios (or most of them) under control. You can be a ‘leader’ in market share and commission results. When you look at a list like this, you can see the importance of tracking results, and refining actions. Everything is personal in implementation and monitoring.